PhotoHastings 2015 is proud to present internationally acclaimed photographer Simon Roberts’ iconic image of Hastings Pier at Jerwood Gallery, Hastings, as part of a nationwide tour of his series of works Pierdom. Piers have long formed a unique place in the cultural identity of seaside towns, and none more so than Hastings Pier, currently undergoing a complete redevelopment of the remains of its Victorian structure, which was destroyed by fire in 2010. 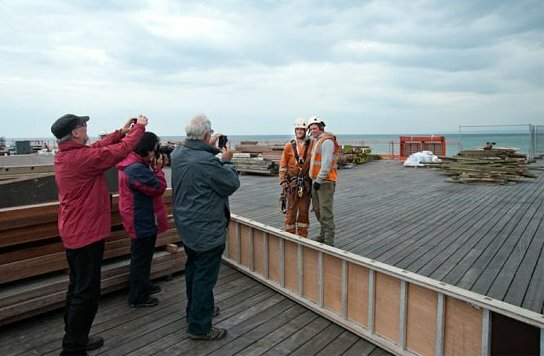 To celebrate the phoenix-like re-emergence of the town’s pier, and in partnership with PhotoHastings, Jerwood Gallery, and Hastings Pier Charity, Simon’s photograph ‘Hastings Pier, East Sussex, 2010’ will be exhibited at Jerwood Gallery from July 20, to September 20, 2015. 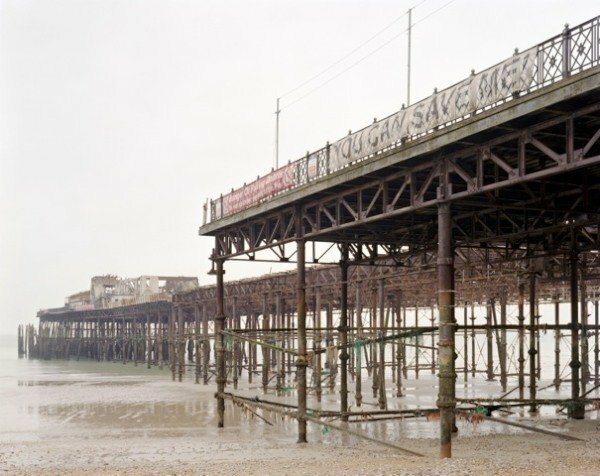 Simon Roberts spent three years (2010-2013) traveling the coastline of Britain documenting the last remaining pleasure piers. These piers were built predominantly during the 19th century as landing docks for pleasure steamers and other sea craft bringing day-trippers to the coast to escape the smog of the city. The display of Roberts’ Hastings Pier photograph at Jerwood is part of a tour of the British coastline, which began during summer 2014 to mark the 200th anniversary of the first British pier. The full series will be exhibited at Brighton Museum and Art Gallery from October 2015 to February 2016. The tour aims to highlight the historical significance of these architectural structures as cultural and historical landmarks tracing history and national identity from the Victorian period until now. Simon Roberts (b.1974) is based in Brighton. 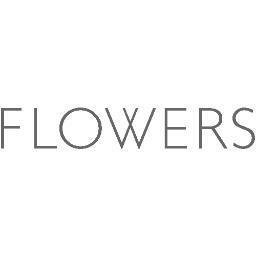 Print is courtesy of Flowers Gallery, London. 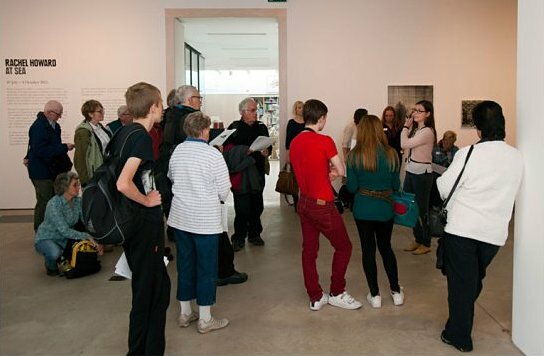 The Pierdom series is accompanied by a monograph, copies of which are available to buy in the Jerwood gallery shop. 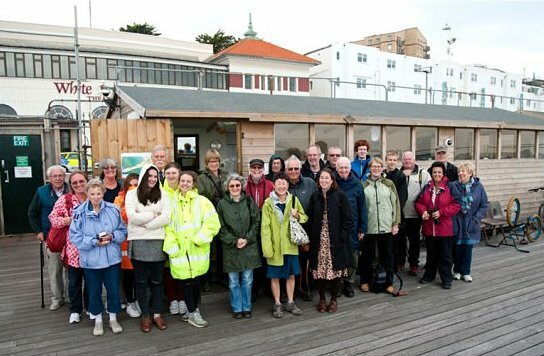 Following an introduction, a talk by Simon Roberts and a workshop by Grace Lau, John Cole took a group down to Hastings pier to allow the group ‘first dibs’ at photographing the newly reconstructed space.